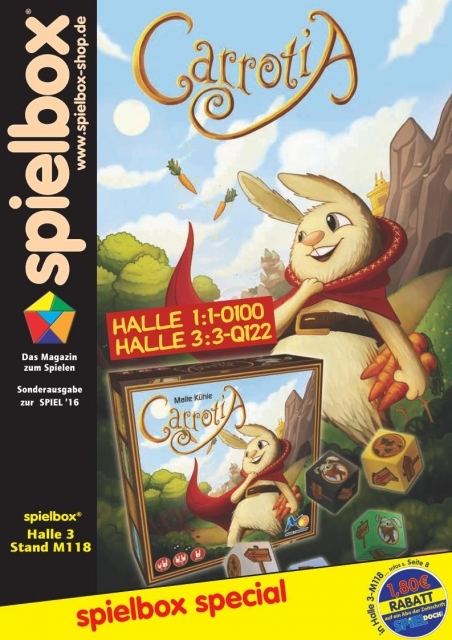 It is published only for the SPIEL in Essen since 14 years! You get it there for free at the entrances and at our booth (3 M118). Here you can order it too. The Almanac includes an exclusive expansion to ASARA called "Die Gaben des Kalifen". The Almanac is not available in English - only in German! Alle 7 Ausgaben der deutschsprachigen spielbox 2017 einschließlich Gimmicks. All 7 issues 2014 of spielbox incl. add-ons (German language). This Product was added to our catalogue on Thursday 29 September, 2016.